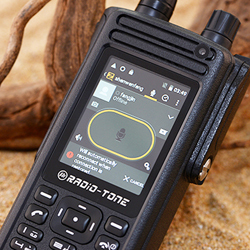 The Radio-Tone RT4 comes with an embedded software solution that allows to check the whereabouts of your co-workers, friends or other Hams. 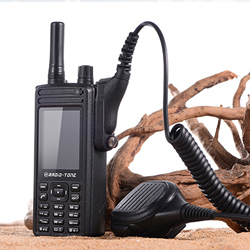 Either you use it for work with apps like Zello, or for the hamradio hobby with IRN, the RadioTone is the most advanced network handheld radio. 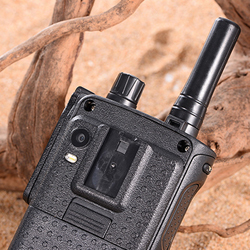 It features a robust case with the looks of a modern Motorola. 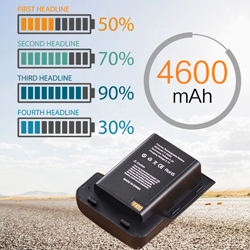 Its battery lasts forever and the speaker delivers an amazing loud and crystal clear sound. 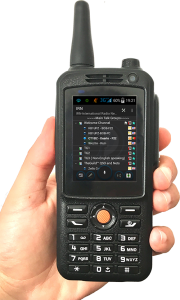 The RT4 PTT Smartphone is a license-free product and it has no distance limitations unlike traditional radios. 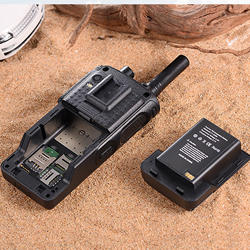 It is suitable for 3G, 4G and Wifi Network, with High-accuracy GPS Antenna with Online Positioning Software Included. Instant location can be tracked by different platforms (PC and smartphones). 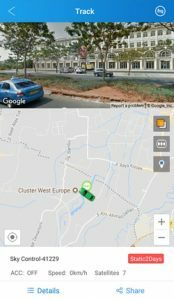 Owners can track Location History and Speed of any phones; there will be an alarm and notifications for any phone if out of geofence, set by the network owner. 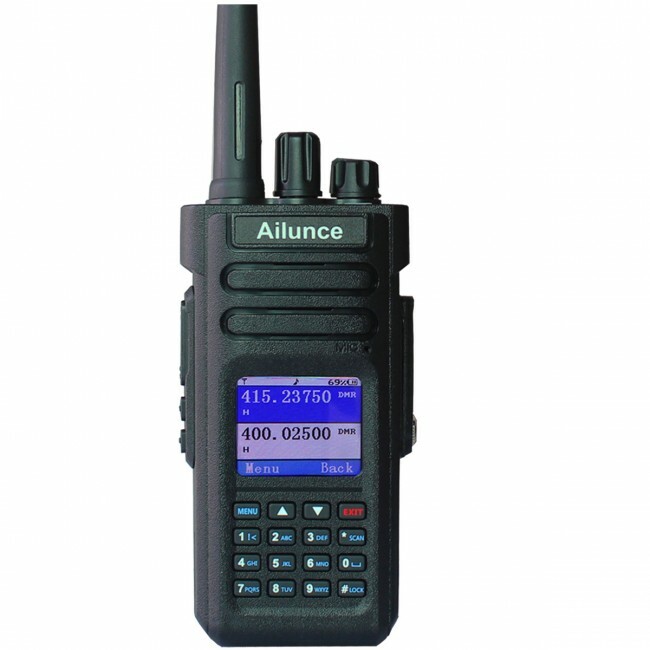 We all love talking to the hamradio comunity, right? 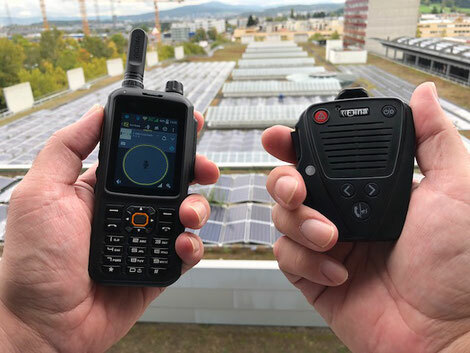 What if you could keep in touch with other hams, when travelling with your handheld and without access to a local repeater? 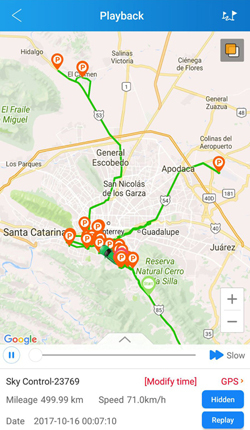 Imagine a cross country, long train ride full of nice and relaxing QSO’s. The other day, RedBull Air Race came to Oporto, Portugal. 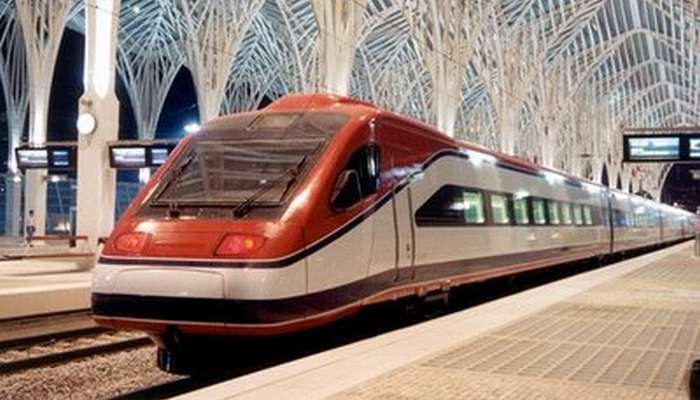 As I live in Lisbon, I decided to take the 300 kms ride by train to watch the race. 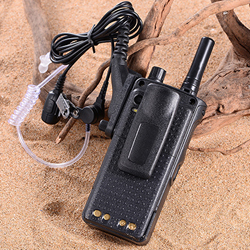 I took my handheld network radio with me. 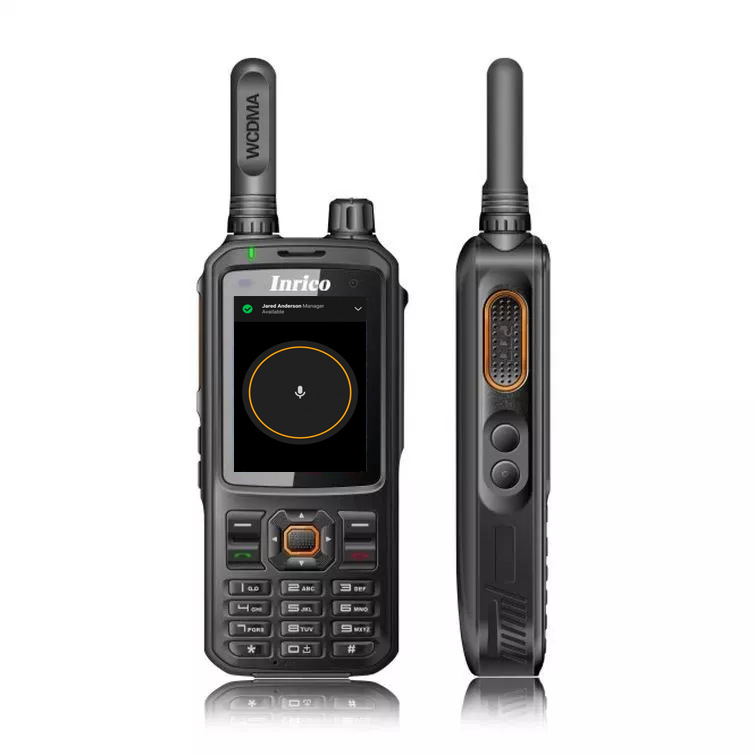 It looks just like a conventional handheld transceiver. But it’s not. 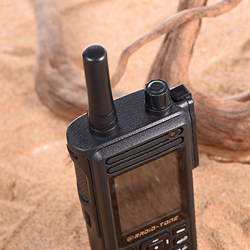 It is a cellphone with a PTT button. With TeamSpeak 3 installed and tuned into the IRN – International Radio Network, I was connected to my favourite hamradio Talk Group: The Guild QSO channel. I tell you… What a fantastic ride. Well, I must admit, I love a nice cross-country train ride. I just sat back, relaxed and enjoyed the views through my window, while talking to my ham friends. Luckly, this train offered free Wi-Fi connection, but I could also have used my 3G dataplan. I know this is far from conventionl hamradio, but things are evolving. 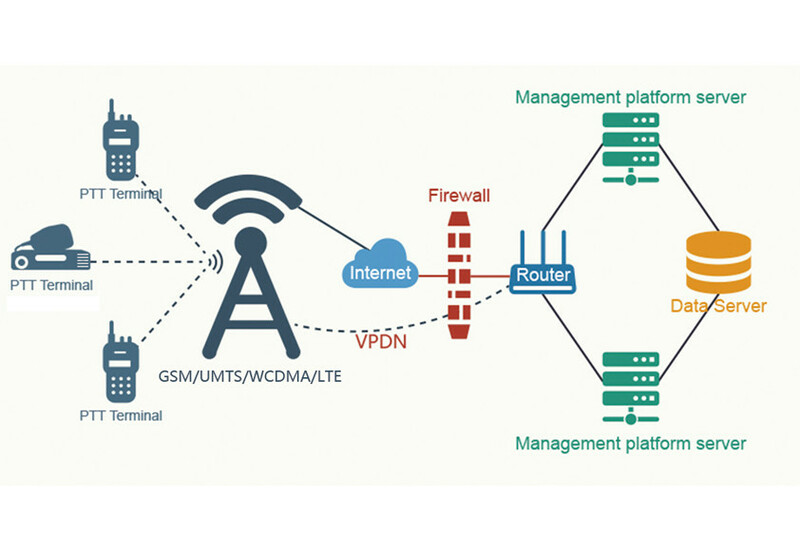 If for you this is not hamradio, because you are using a commercial network for voice transport, I respect you, but… The way I see it? 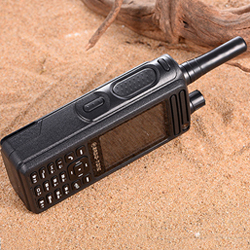 A hamradio OM, on a relaxing train ride, with a cute radio-like handheld, talking to other hams, on the other side of the ocean. For me, this is nothing but “hamradioing“. On the Kanal Zello Funk we are a great radio community. 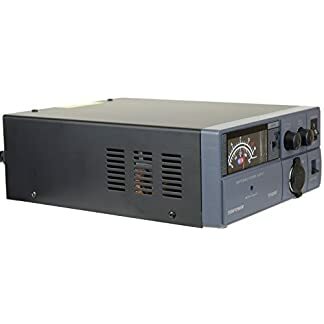 Here, hobby radio operators, former and active radio amateurs, managers, housewives, taxi drivers and truck drivers, security and students meet. Everyone can join and be welcome on the canal. 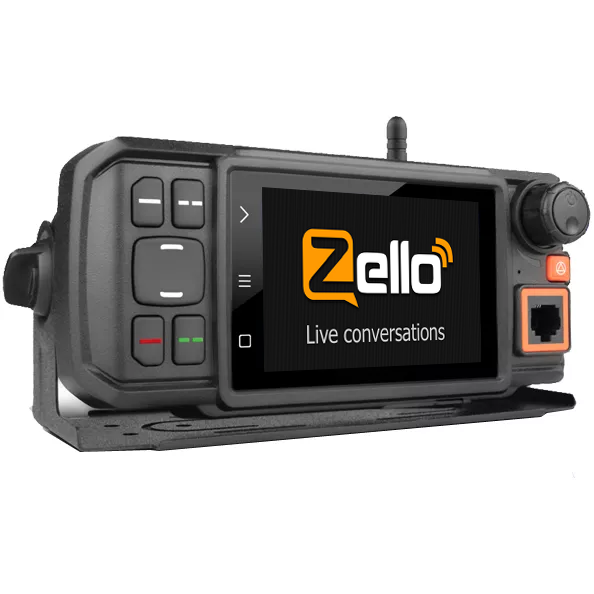 The free app zello works on any PC, Android, BlackBerry or IOS. 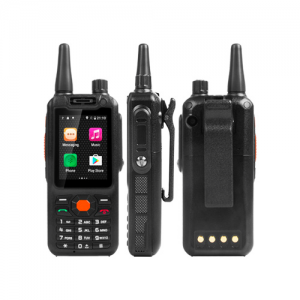 Zello converts the mobile phone into a walkie-talkie. That is, the voice messages are reproduced directly in real-time at the call partners. All you have to do is press the push-to-talk button and you will be heard by the friends. At Zellofunk, we talk about everyday things and have fun with each other. 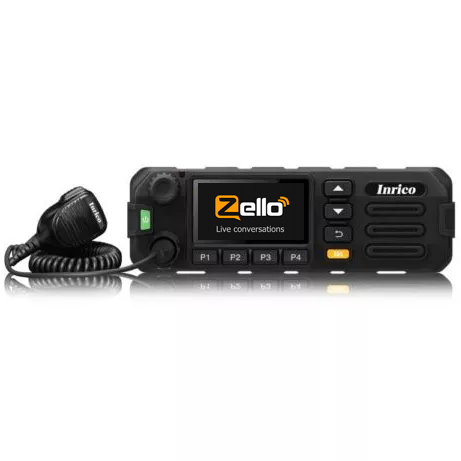 We are joking, laughing and enjoying the opportunity to reach zello radio friends all over the world. We also talk about serious issues and above all we help each other when necessary. 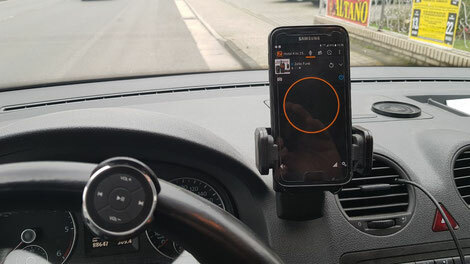 In order to facilitate cell use during driving and to make it safer, a Bluetooth PTT button can be used when using a mobile phone. In the illustrated example, a Samsung Galaxy S7 was used with a “Auto Bluetooth Media Button” from XCSource. Both devices can be easily coupled and work flawlessly. The play / pause key has been defined as a send key and operates (depending on the setting) in PTT as well as in toggle mode. Also, the volume buttons are in function and allow the adjustment of the mobile volume. The included accessories allow direct attachment (by clip) to the steering wheel. The hand does not have to leave the steering wheel while pressing the PTT button. Alternatively, the Mediabutton can also be glued at a suitable location (using adhesive tape supplied). 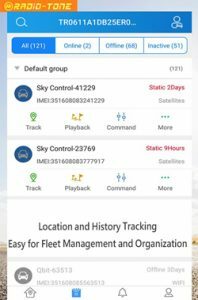 After the first tests, the combination of mobile phone with Mediabutton and integration into the vehicle media center (to increase the receiver volume) is a useful solution for mobile cell operation!